*** I have to admit, I had no idea this one was coming, nor did a lot of people. Barnett was supposed to be signing his financial aid papers with Florida State, but instead he announced his commitment to Georgia. Story on Barnett here. *** This will be an interesting one to watch. Atkinson is currently committed to Auburn, but he said that he grew up always watching Georgia games and that his family is nuts about the Bulldogs. He also said that early playing time is a big deal to him, and Jeremy Pruitt is assuring him that he could come in and get a lot of time at safety right away. Atkinson is also teammates and friends with current UGA target, D’Andre Walker (who I think the Dawgs will land). 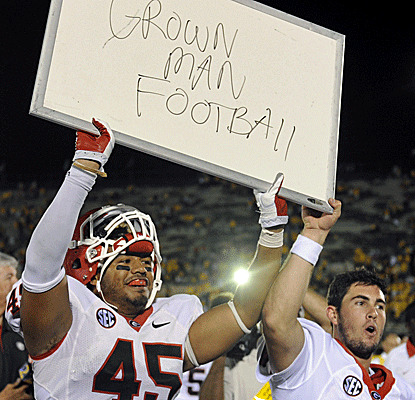 I wouldn’t yet move Montavious into the “Will Get” category, but I think the Dawgs are trending with him. Last night, Sheldon Dawson was dismissed from the team. Dawson, a junior out of Memphis, Tennessee, hadn’t seen a ton of playing time this year, and some speculate that his dismissal had to do with that. Mark Richt didn’t say why he was released, but I’m sure we’ll find out in the next day or two. This isn’t a huge loss for the Dawgs, but it does take away depth at a position that already wasn’t very deep. It is expected that UGA will lose a number of defensive players after the season that aren’t a fan of Pruitt and possibly their playing time, but I don’t think anyone really thought this would happen during the season. To avoid skewing the details, I won’t give my summary, but will let you read for yourself here. Mark Richt held his weekly call-in radio show on Monday, and he had some interesting things to say. At one point, Richt was asked by a caller if he would consider giving the back-up quarterbacks a few series throughout the game, like D.J. Shockley back when David Greene was the quarterback. 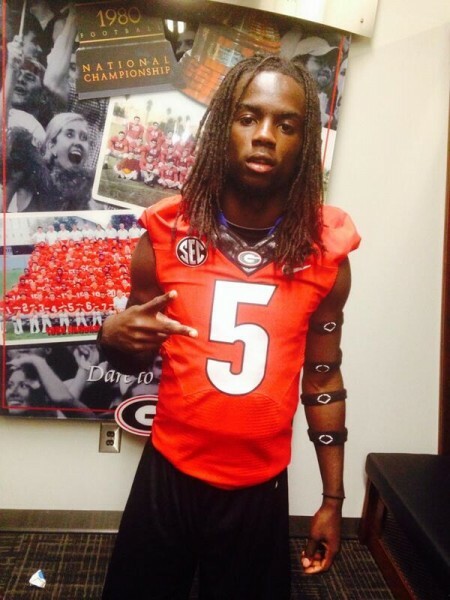 Suprisingly, Richt didnt say no. I’m not sure I support just putting in Bryce Ramsey for the heck of it, but I wouldn’t mind having some packages where Faton Bauta came in and ran the read-option. I think this would give opponents a whole other aspect to prepare for and could really make this Bulldog offense dangerous. With regards to the injury situation, Richt said that Mitchell, Scott-Wesley, and Rumph were all practicing Monday and are expected to play on Saturday. Keith Marshall, who suffered an ankle injury against Troy, did not practice, however, and I wouldn’t expect to see him back for the Vanderbilt game. More of Richt’s comments here. Daniel Palmer (@dpalm66 on Twitter) and Jason Smith (@JasonIsASmith) discuss Georgia’s epic 3-point win over the Tennessee Volunteers. What was good? What was bad? And what was ugly? Tune in to find out. 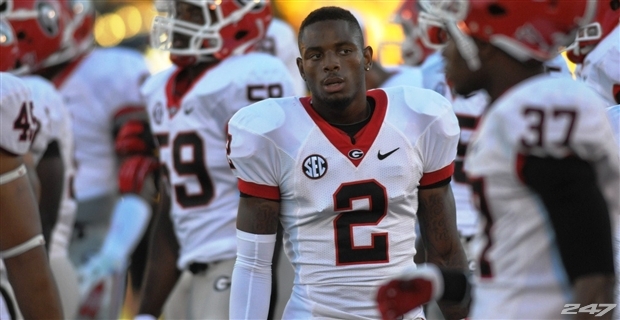 Georgia should not lose another game in my opinion, but with Hutson Mason at the helm I just do not know. Georgia has a great running game, great pass rush, and the only big questions come from the defensive backfield and quarterback positions. Can Georgia go the rest of the season without losing a game? Yes! But will they? Heck no. They will have a let down and here are the few places I believe it will happen. *I realize Georgia Tech is a rivalry game, but come on.. They are a joke. Georgia will need to rely heavily on the run game to win out, and I believe playing at home against Auburn will be the biggest deciding factor in that win. I hope Georgia wins the SEC East. If Hutson Mason can figure out how to not throw like a middle-schooler between now and then, they could become really dangerous. Georgia has the talent and the schedule is in their favor, but can the coaches avoid the big game bust to which Georgia has become accustomed? How do you think Georgia will fare the rest of the way? Everyone has been a sad fan before. Whether you take your sadness out on a bottle of your favorite drink, or cry yourself to sleep, we have all experienced our hearts ripped out because of the game we love so much. I had my heart ripped out and shown to me last season during “kick six” and I have thrown away that entire outfit I wore that day. Here are some of the best sad fans from this past week. I am sure almost all of us have an opinion on who the top team in college football is right now, but I think we can all agree that Florida State has looked like they are ripe for an upset soon. In this list they try to put together the top 25 based on their week 4 performances. South Carolina should be eliminated and Indiana should be ranked higher than any SEC East team. Here is the full list. 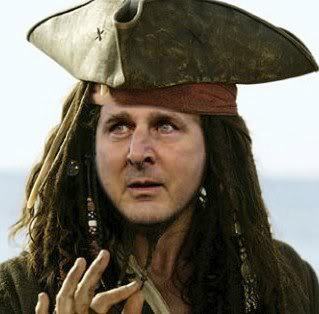 Mike Leach is an interesting guy. 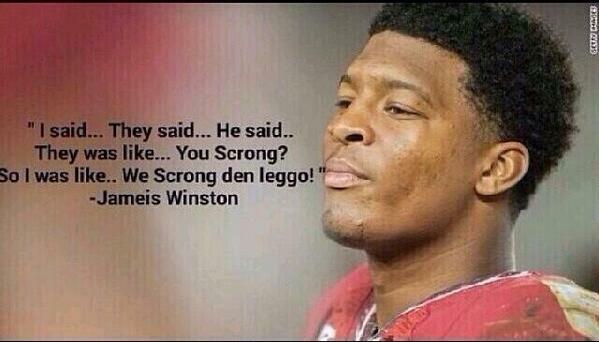 One day he is being accused of locking a player in a closet, the next he is claiming texting will end us all. I believe that texting and social media are hurting the interpersonal skills of the upcoming generation, but ending all of humanity is a little bit of a stretch. Maybe he should worry a little bit more about his own team and their mediocrity, than the existence of humanity. Here is his full quote.